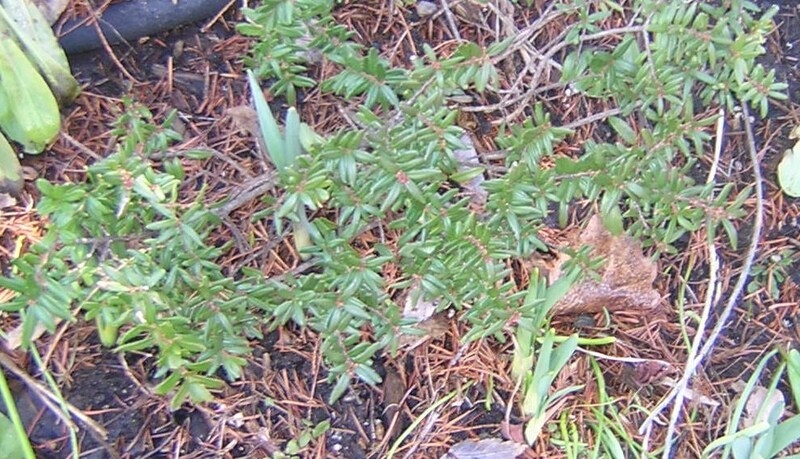 these on my deck in April, 2008 (purchased at New England Wildflower Society). They’ve always produced one or two beautiful flowers, but this spring, there are eight or more flower stalks, with more flowers opening every day. 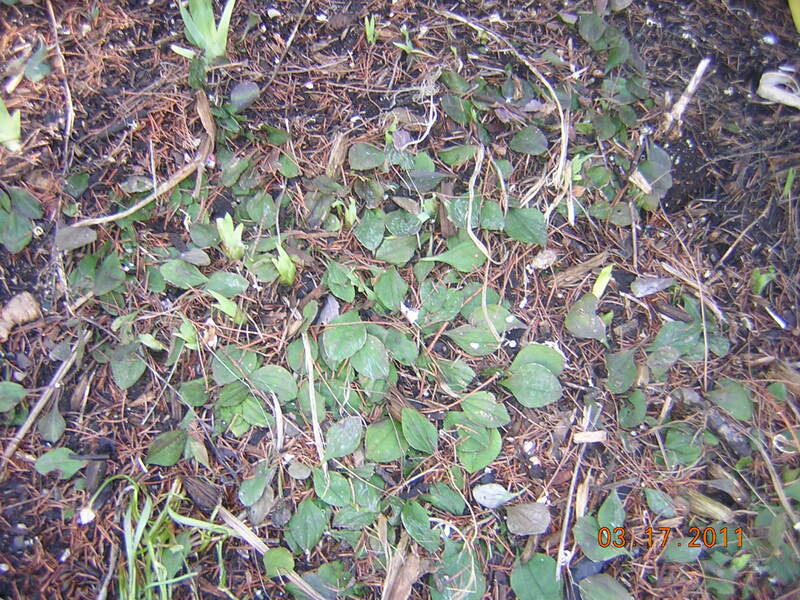 The plant sharing this container is American Ipecac (Porteranthus stipulatus) which grows up nicely as the Shooting Stars fade. 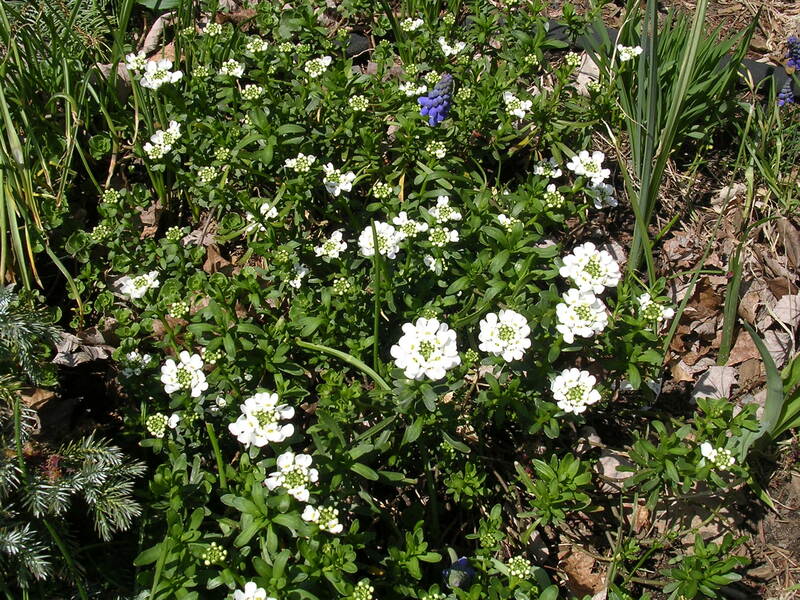 There’s also some Bee Balm in here, just appearing in the foreground. 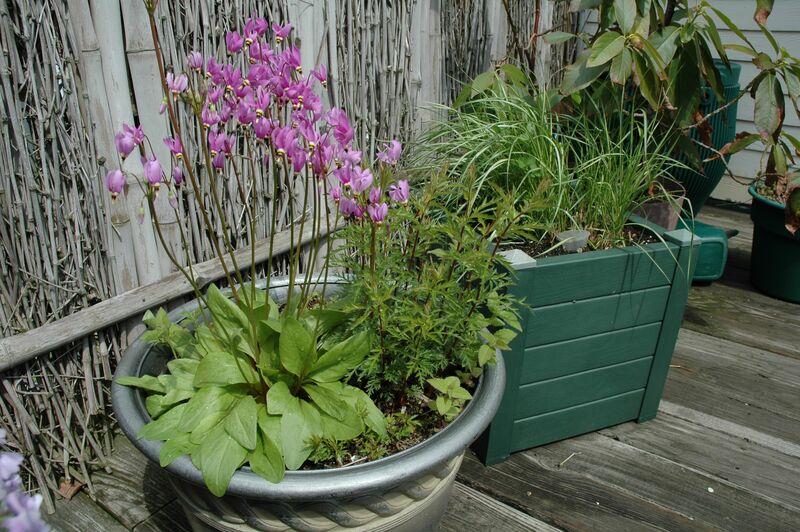 I love having perennials in the containers on my deck… just add spring! 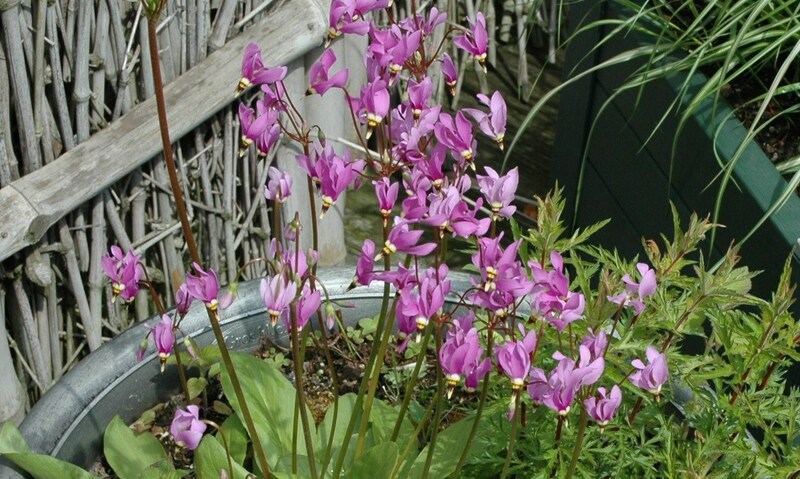 Spring Wildflowers – Dodecatheon L.
Here’s another spring beauty: Dodecatheon L. I planted this in a container on our deck a couple of years ago, and marvel at its sudden appearance in the early spring (later in the summer, it will go dormant, so it’s easy to forget it’s there until the next April). 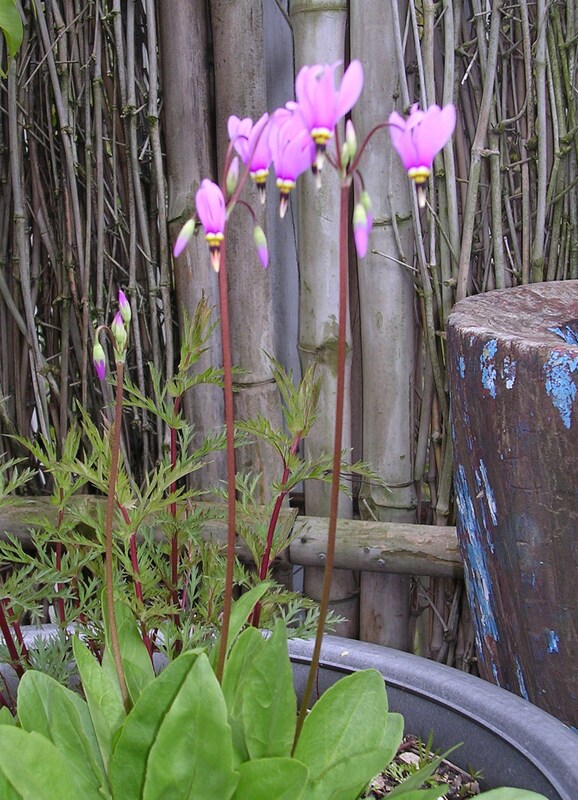 Posted on April 25, 2010 April 26, 2010 Categories deck gardening (containers)Tags container gardening, native plants, spring wildflowers, what's in bloomLeave a comment on Spring Wildflowers – Dodecatheon L.
I’ve been quietly delighting in the beautiful flowers of the Uvularia grandiflora that appeared this week. 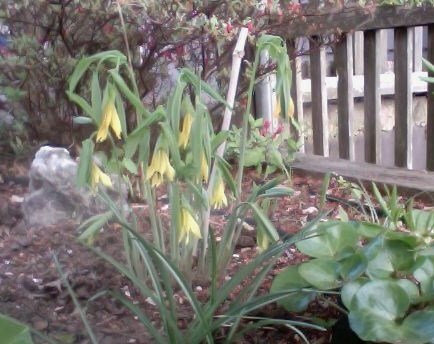 I got this plant from the New England Wildflower Society in June of 2008, and know that it flowered last spring, but I think it is a much more generous bloom this year. 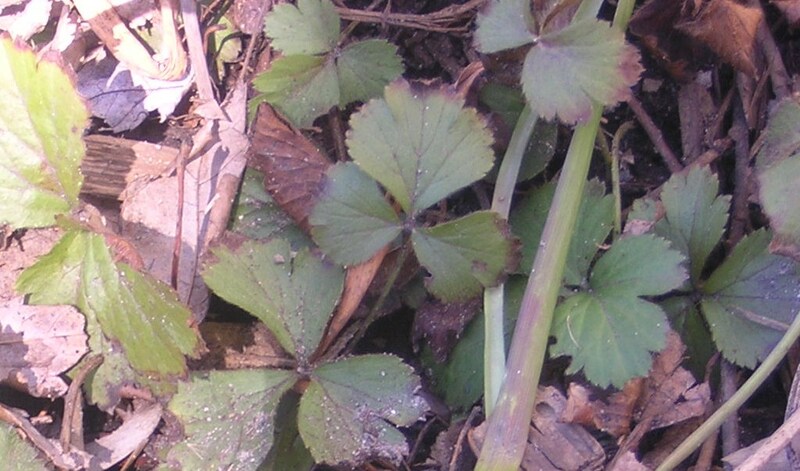 And it’s a bit early – mid-April this year, instead of the May time noted in most descriptions (including the plant tag). I’m still waiting for its partner, the Uvularia sessilifolia, to show – I think (hope!) 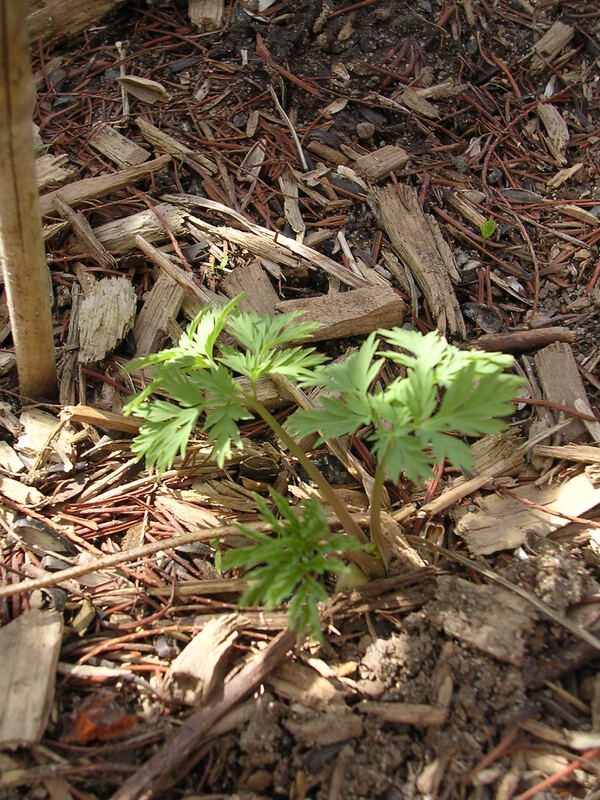 some tiny stalks are beginning to appear. 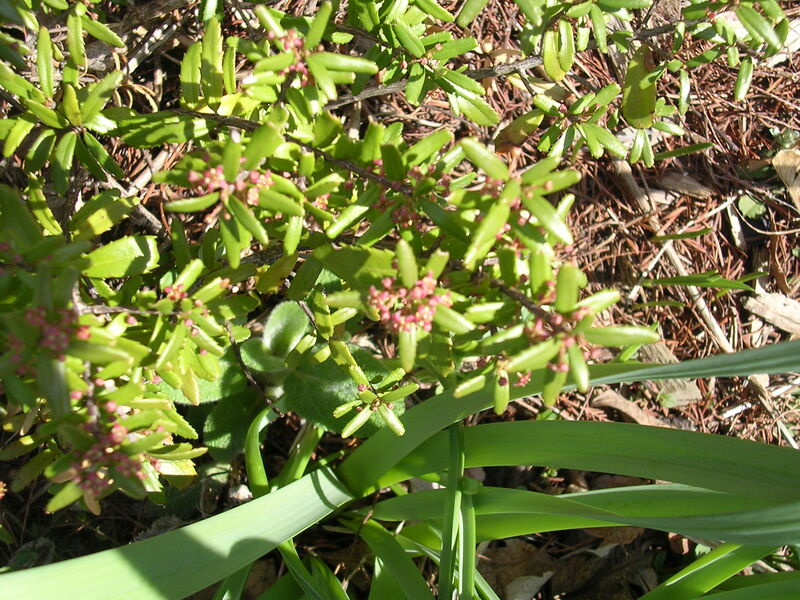 Just a few days into April, and there are small signs of growth – new leaves, new buds – appearing everywhere. Here’s a tour of some of the signs I saw today. 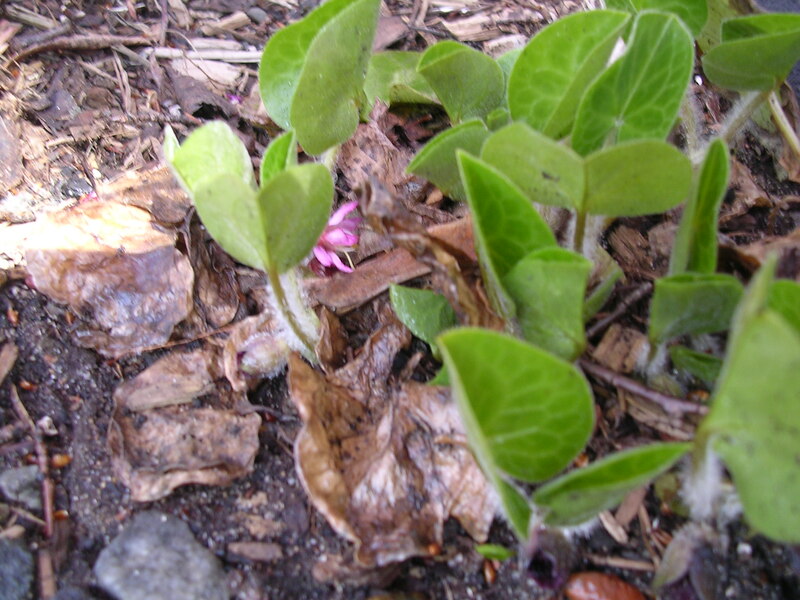 The wild ginger (Asarum europaeum), under the cherry tree, has new leaves just emerging from the ground. 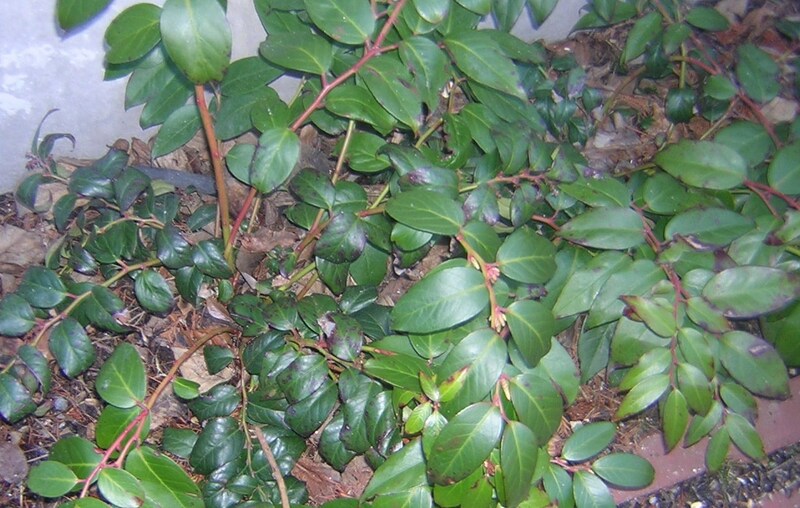 My two Dog Hobbles (Leucothoe fontaneiana) on the side of the house took some damage from rain coming off the roof here, despite the gutter we added last year. 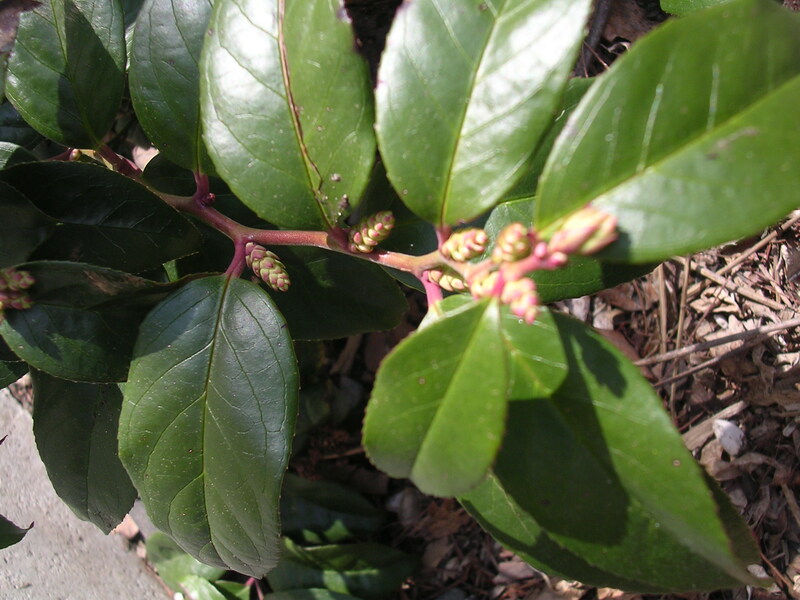 They lived up to their evergreen reputation, though, and now have some small buds appearing. 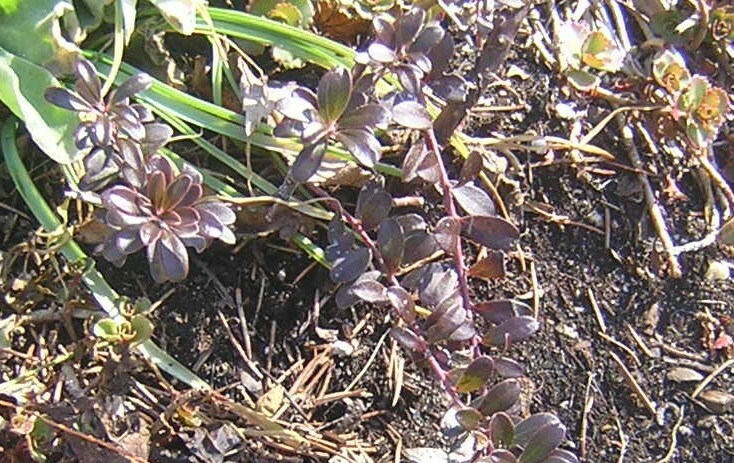 The small Cliff Green (Paxistima canbyi) is also showing tiny buds. 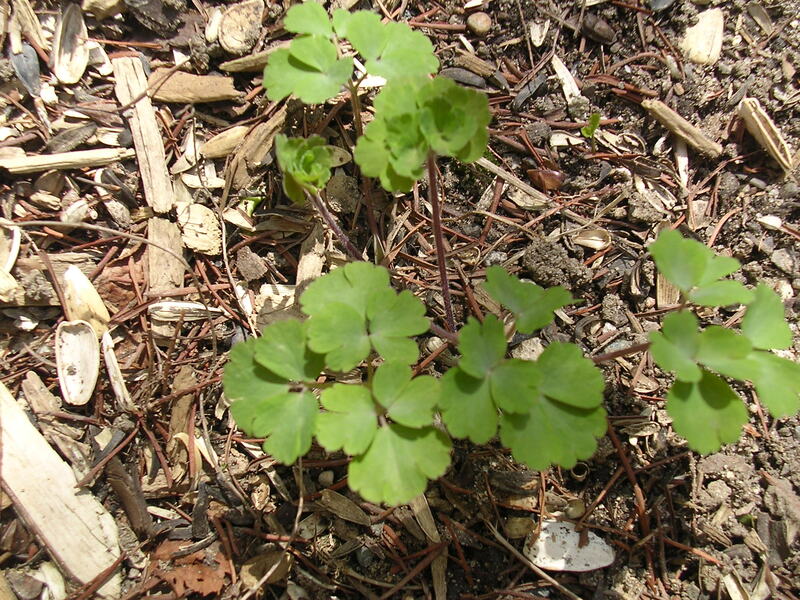 Foliage from two wildflowers are making an early entrance: Bleeding Heart (Dicentra eximia) and Columbines (Aquilegia canadensis). 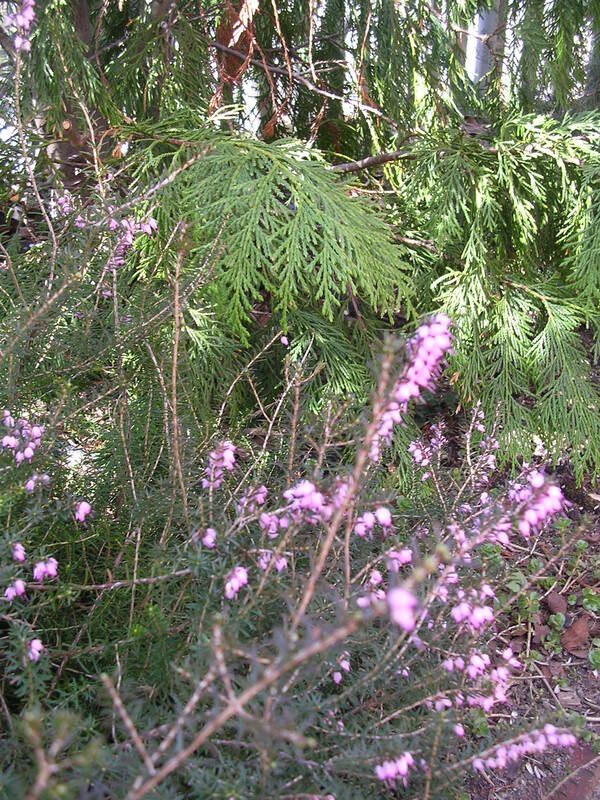 And here are two non-natives that bring in the spring with early flowers: Candy Tuft, out in my south-facing street bed: and Heath, bringing a touch of color between our Alaskan Weeping Cedar trees on the northwest side of our house.